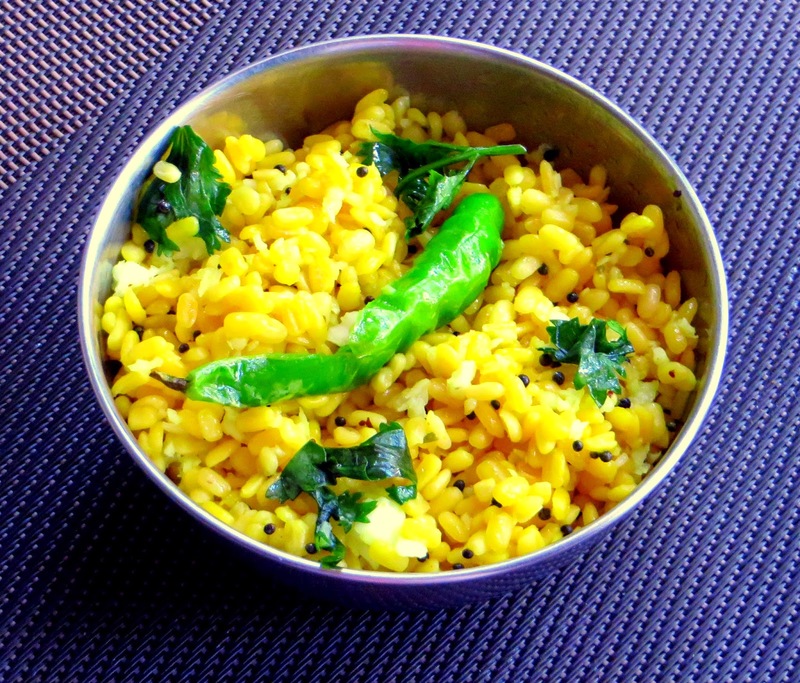 Split moong/mung dal or Hesaru bele kosambari is a very common item in the kannadiga's kitchen. Its a raw salad that is tempered with green chillie with a touch of lime and of course garnished with coconut and coriander. This sundal, also has the same ingredients for tempering and garnishing except that the dal is boiled before its tempered. Here is the recipe. Wash moong dal and soak in water for 1 hour. Heat 2 cups water and when its starts to boil, add the soaked dal. In about a couple of minutes, you will notice the water raising with froth. Turn off heat and drain water using colander and allow the water to be drained completely. Heat oil in a kadai and temper the mustard seeds. Add green chillie and then the boiled dal. Add turmeric powder and asafoetida powder and salt and give a quick stir. Turn off heat and mix in chopped coriander leaves and fresh grated coconut.